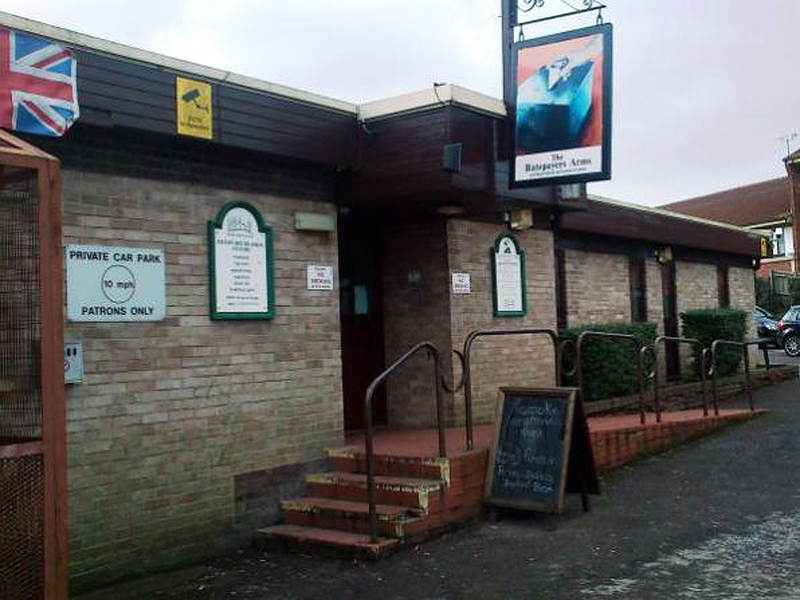 Two tenants have contacted Filton Voice to express their concerns about the level of noise they experience in their flats in Conygre Grove. Sabrina Knight and Rosy Gray both live in flats that are managed by Bromford, who partnered with Merlin Housing Society in July 2018. 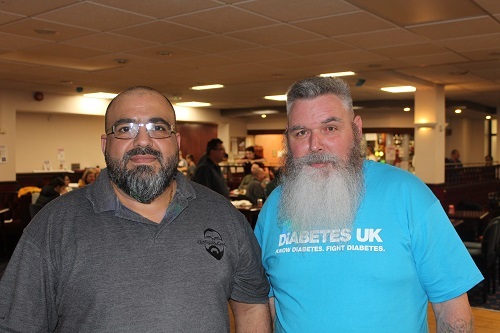 They moved into their properties in September 2018, and say that they are both concerned about poor sound insulation and the lack of action that seems to have been taken following their complaints. 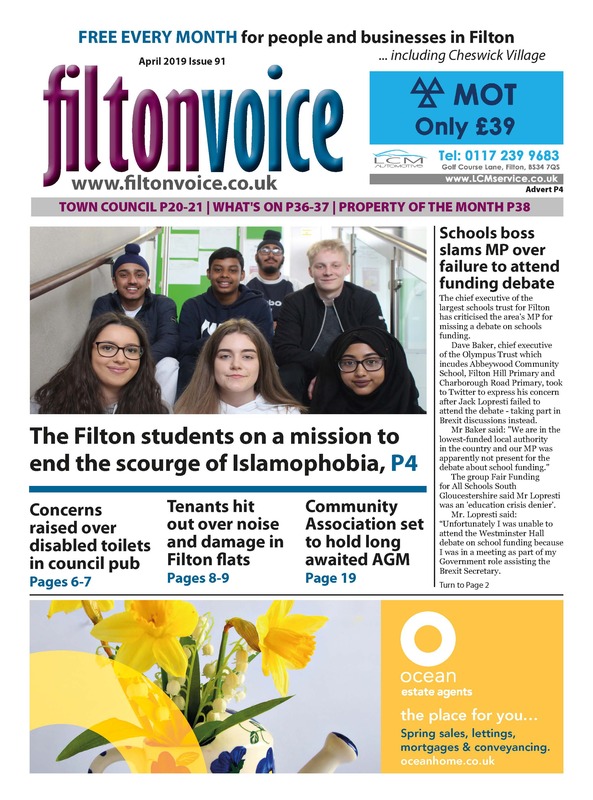 Sabrina lives with her two young children, and she has told Filton Voice that the poor sound insulation of her flat causes her son to have sleep problems. 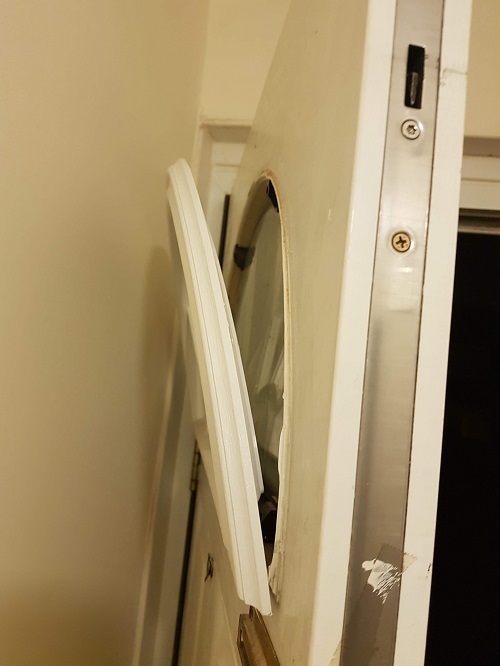 In addition, she says that the heating hasn’t worked since October, the radiators are also in a poor condition, there are huge cracks throughout her property, and she has numerous problems with her front door, door handles and kitchen cupboard doors being broken. Despite chasing Bromford about the issues she has experienced, she says has only had recent success in booking appointments with the maintenance team. So far, only the problems with her radiators, door handles in kitchen and her front door have been resolved, and she is also currently awaiting an appointment to have her windows sealed as they also hadn’t been done when she moved in. Commenting on the issues that she has experienced, Sabrina said: “I have been told by a member of the complaints team that the properties we have moved to are not as advertised. 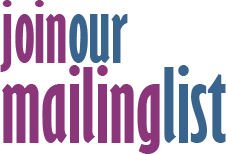 I checked with South Gloucestershire Council who have said that their adverts are based on what the housing associations send in, so therefore we feel Bromford knowingly mis-advertised these and therefore we have signed tenancy agreements under false pretences. “They should move us into suitable properties and fix these as they are not fit for purpose, nor what me and my neighbours signed up for. Rosy lives with her young daughter. She told Filton Voice that special carpet was installed in the property and pipes were also insulated when she moved in as part of sound proofing measures, but that it has not made any difference to the noise issues. She has also said that she has been in regular contact with Bromford, and that although sound testing has been done, it seems to take a long time for anything to be resolved. She said: “I can hear things through the floor and I regularly get woken up by noise from my neighbours. I complained to Bromford on the first night I moved in, but it’s taken a very long time for anything to be done and I’m at my wits’ end as it takes weeks to hear back from someone. It’s not that they aren’t dealing with it, it’s just that everything takes such a long time. Addressing Sabrina’s and Rosy’s concerns, Marc Goldby, Head of Property Investment at Bromford, said: “We have been in regular contact with Mrs Knight over the past few months about her concerns about her flat. “Our heating engineers visited the property in January and determined there were no issues with the boiler or radiators which were all working, but did clear the debris from behind the radiators. And in February we also carried out the annual gas safety inspection of the flat to fully check the heating system, which showed the heating system is working normally. “Before customers moved in we invested around £100,000 improving the energy efficiency of this block of flats by installing new insulation to help all the flats retain heat. An independent energy assessment was carried out following this work, the flat achieved an energy efficiency rating of C74, which is above the national average of D60. “At the same time we also fitted acoustic underlay to all the flats to minimise noise disruption. Although it is not unusual for noise to be transferred between properties in a block of flats, we have hired an independent company to carry out a sound test at the block. This was completed on February 27 and found the sound levels to be compliant with building regulations. “The damage to Mrs Knight’s front door has happened since she moved in. After this was reported to us, we visited and gave Mrs Knight the choice of new door and advised that it will take up to six weeks to manufacture the door which she was satisfied with. have a look around before moving in.